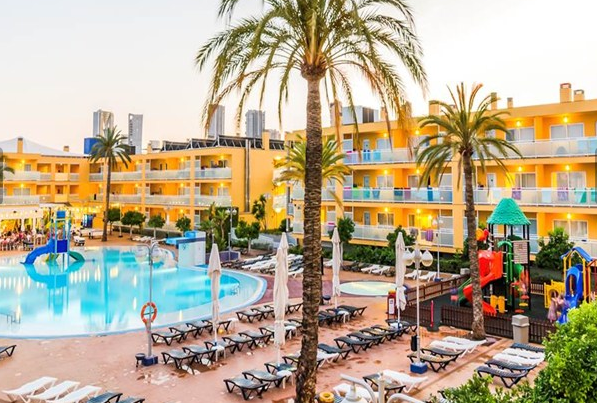 If you’re looking for a cheap holiday then be sure to check out the fab deals over at Jet2Holidays at the moment, like this cheap week in Benidorm at just £356 for a WHOLE Family of 3, other party sizes are also available just adjust the search requirements to suit your needs. The great thing about Jet2Holidays is that they’re packages include everything that you need for a care free holiday and much more! For example, their luggage allowance is much more generous than other holiday companies at 22kg and their service is outstanding. 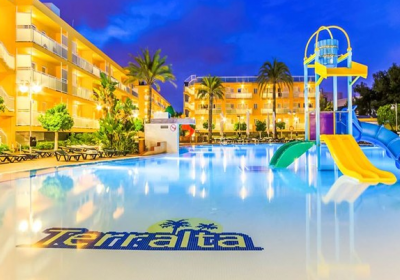 The Aparthotel Terralta is a real gem for families and has plenty on offer to keep everyone entertained! Set in a relaxing area away from the hustle and bustle of the resort centre, you have everything you need for a relaxing break, but the bright lights of Benidorm are within easy reach so you really do have the best of both worlds here. On site, there is a hotel-run kids club in summer, an entertainment programme and a large pool to relax and enjoy. Rooms are spacious and well equipped, so you can feel right at home. The Sol Parc has good reviews over on Trip Advisor and an average rating of 4/5 Stars so you certainly can’t grumble at this price. To read what other visitors have to say CLICK HERE.